Ticket prices for the 2014 Courts Inter District Championship have been reduced with Fiji Football Association (Fiji FA) now selling tickets at a fixed rate. For the first week of games from October 4– 9 in Labasa, Nadi and Lautoka; ticket prices will be $5 for adults and $2 for children. Games held at ANZ Stadium, Suva from October 9-10 will be $10 for adults and $4 for children on the grandstand and $8 for adults, $3 for children on the embankment. Games held at Bidesi Park and Buckhurst Park on October 9-12 can be accessed through the stadium. From October 11- 12, ticket prices for the ANZ Stadium will be $15 for adults and $5 for children on grandstand and $10 for adults, $3 for children on embankment. This is for the semi-finals through to the finals. “We decreased the prices because obviously we want to attract a bigger crowd but we are also decreasing because of complaints from some people saying the ticket prices were high,” said Kumar. 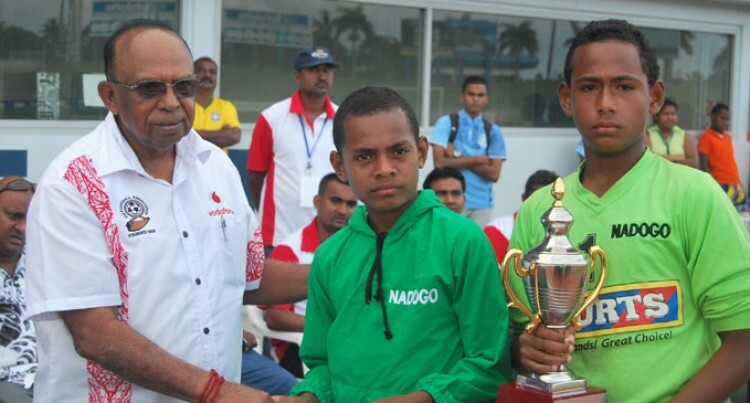 The 2014 Courts IDC starts on October 4 with games played in Labasa and Nadi. Draws: Subrail Park, Labasa; 2pm Labasa v Suva. Prince Charles Park, Nadi; 4pm Rewa v Nadroga, 6pm Nadi v Tailevu Naitasiri.